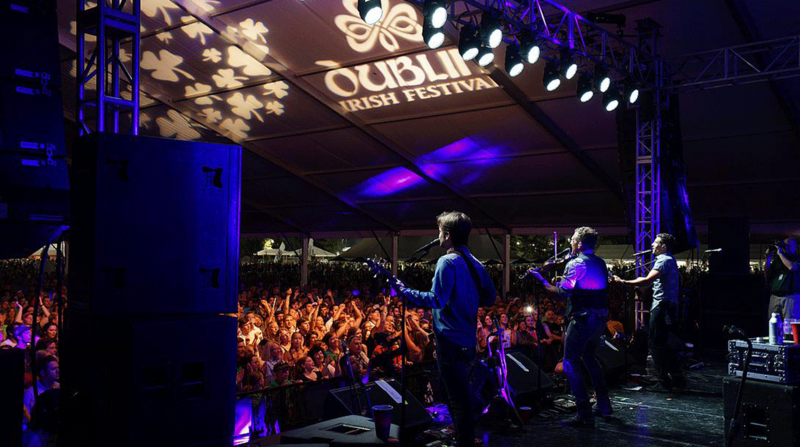 Each year the City hosts a variety of special events from the Memorial Golf Tournament presented by Nationwide to the Dublin Irish Festival. The City of Dublin is home to an expanding network of parks, 100+ miles of bike paths and endless opportunities for recreation. We have been named a Bicycle Friendly City by the League of American Bicyclists. We currently have 60 parks offering everything from simple quiet space to state-of-the art playgrounds and well-maintained athletic fields and courts. Golf is kind of a big deal in Dublin – home to Jack Nicklaus’s annual Memorial Tournament presented by Nationwide at Muirfield Village Golf Club. Dublin is also the only city in the world to host The Presidents Cup, The Ryder Cup and The Solheim Cup. For information on private and public golf courses. The City places a high priority on health and wellness for residents and our corporate citizens. Corporate memberships are available at the Dublin Community Recreation. This 110,000 square foot facility offers a variety of fitness programs and classes from spinning and yoga to foreign language lessons and a variety of food, beverage and fine arts offerings. Dublin offers a variety of restaurants – many within walking distance or a short drive to our business districts. Our shopping plazas and Historic Dublin feature a variety of retail options including unique gift shops, women and men’s clothing, spas, restaurants, home décor and specialty sweet shops.